I am P.Karunanithy, Retired SPOs. I am having constant touch with all Postal examinations such GDS to Postman exam, LGO exam, Postmaster Grade I examination, IPO examination and PSS Group B examination. My books are examination oriented containing simple and easily understanding language. MCQ questions of previous years’ examinations were solved and incorporated in my books. 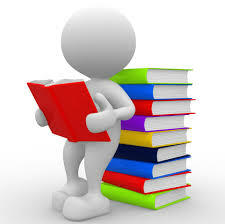 My books are prepared in accordance with latest syllabus of the examinations. I am conducting coaching classes for LGO and IPO examinations. Candidates can contact me freely at any time and they can clarify their doubts over phone regarding examinations and any other subjects. My books are available in Jeevajegan Publications. I assure that I will be a good guidance for your examinations. POSTMASTER GRADE I Examination books from Shri. P.Karunanithy, Rtd. SPOs.